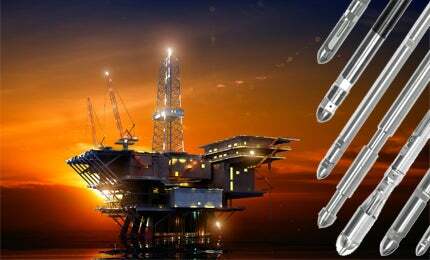 Steatite has specialist industry skills in oil and gas, oceanography, satellite systems, telecommunications, medical, government, security and defence applications. Dedicated in-house teams are capable of designing and manufacturing advanced solutions of the highest quality tailored to our customers’ applications and needs. Based in Redditch, Worcestershire, UK, the company employs over 90 people. Steatite designs and builds battery packs to perform in some of the world’s harshest and most dangerous environments. Following the acquisition of RZ Pressure Instruments in 2007, Steatite has established itself as the premier European supplier of battery power solutions for the energy market. It is regarded by service companies and equipment manufacturers as the largest proven supplier of battery packs for the EMEA region. Steatite provides lithium battery packs that deliver dependable power on demand, with extremely high peak performance. Major oil services companies and manufacturers rely on Steatite to recommend the right batteries and portable power solutions. Battery chemistry is a critical influence on the performance and runtime of a piece of equipment. Alkaline or Ni-MH chemistries will be suitable in some cases, but lithium is essential when space, equipment recovery cost and runtime are important. Steatite lithium batteries are used with success in a wide range of oceanographic applications, including autonomous underwater vehicles (AUVs), pipeline inspection (pigging), seismic surveying, acoustic profilers, sonar devices, oceanographic buoys, sensing devices, GPS systems and memory storage. Correctly designed and tested lithium battery packs can be safely shipped around the world by air, land and sea. Steatite handles all aspects of the shipping and supply chain management. Steatite Rugged Systems offers laptops, tablets and handheld devices that fully conform to the ATEX Directive. Steatite can advise your organisation on the correct deployment of these devices in controlled areas. The rugged ATEX-certified mobile computers in this range are ideally suited to inspection, emergency notification and maintenance applications where performance and reliability are critical in hazardous and extreme operating environments. Steatite can offer custom Windows-embedded operating systems to speed start up. Mobile electronic forms and risk-assessment forms ease the move from paper documentation and assist in the collection of data remotely. Steatite rugged Ethernet-enabled products integrate control, communication, management and video. They are used for power generation, transmission and distribution. Steatite is delighted to announce that it has been awarded collaborative funding of £1.1m towards the research and development of the next generation of lithium batteries for marine autonomous systems (MAS). Steatite is divided into product divisions: Steatite Wordsworth, Steatite Rugged Systems, Steatite Batteries, Steatite Embedded and Steatite Q-Par Antennas, together offering a range of complementary products and systems that range from, industrial computer equipment, batteries, components, embedded solutions, microwave antennas and sub-systems as well as a full range of rugged notebook computers and PDAs. Increasing demands are being placed on battery power for undersea applications. Lithium battery technology is often preferred for portable equipment intended for use in harsh environments. Steatite technology partner OXIS Energy has developed its largest Lithium Sulfur cell, achieving in excess of 300Wh/kg. A Memorandum of Understanding (MoU) has been signed by Steatite Limited with the Taiwan Trade Centre, Taipei City Government, the Department of Economic Development and Taiwan Republic of China (ROC) in an enhanced collaboration bid. Getac will officially discontinue the B300 with 3rd Gen Intel Processor from the current product line. Persistent Systems, a global communications technology company based in New York City, has signed a new reseller agreement with UK-based technology organisation Steatite to provide overseas customers easier accesses to its suite of products. OXIS Energy has agreed to combine its expertise in the development of pioneering cell technology with Steatite Battery Systems' battery pack design and assembly skills to develop lithium sulfur rechargeable battery systems with advanced communications. Due to company growth in the Steatite Batteries division and increasing demands for lithium battery packs, Steatite has appointed Jon Wells as business development manager. Abby Patel recently joined the Steatite batteries division to strengthen the level of technical competence in its internal sales team. Getac, designer and manufacturer of rugged computing technology, is launching the world's first rugged Android 4.1 tablet with explosive protection. Pioneering the way in innovative tablet technology, rugged computing manufacturer Getac UK has launched the world's toughest and most advanced tablet - the Getac Z710 - equipped with Android 4.1. Historically, NOC have used Alkaline and Lithium Polymer battery packs in AUV's but with the ever-increasing deployment demands on endurance NOC required a fresh approach to power. Changes in shipping regulations for lithium batteries mean that the ability to source your battery packs locally will reduce your costs and improve service levels.